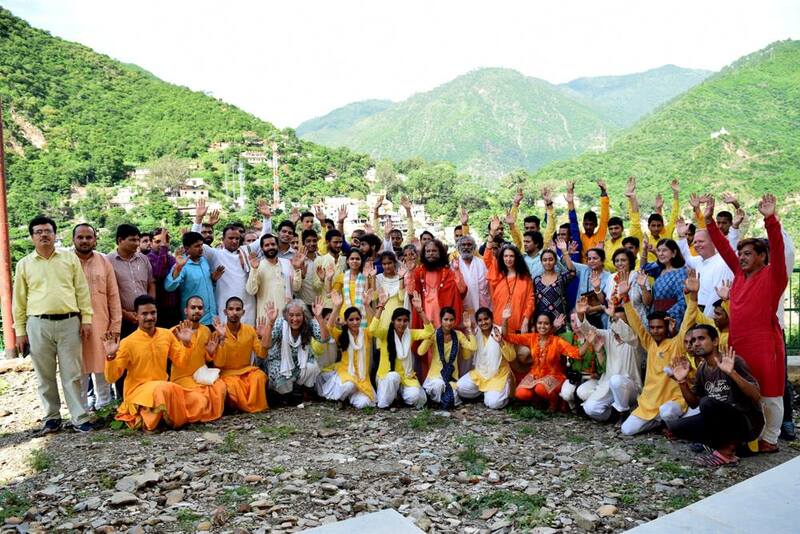 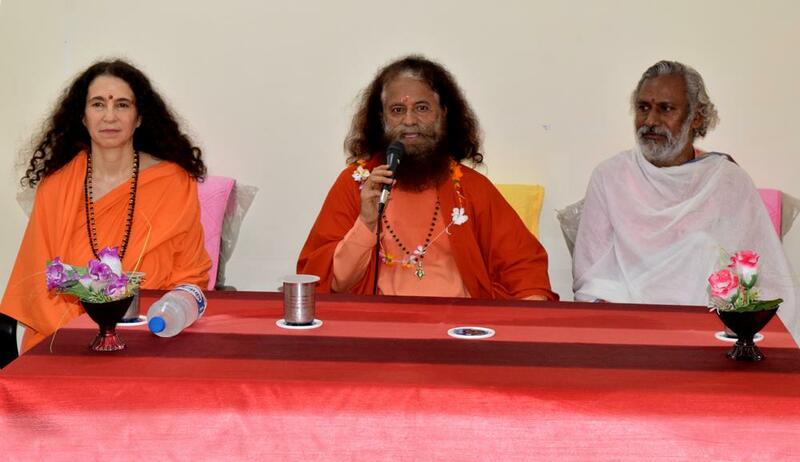 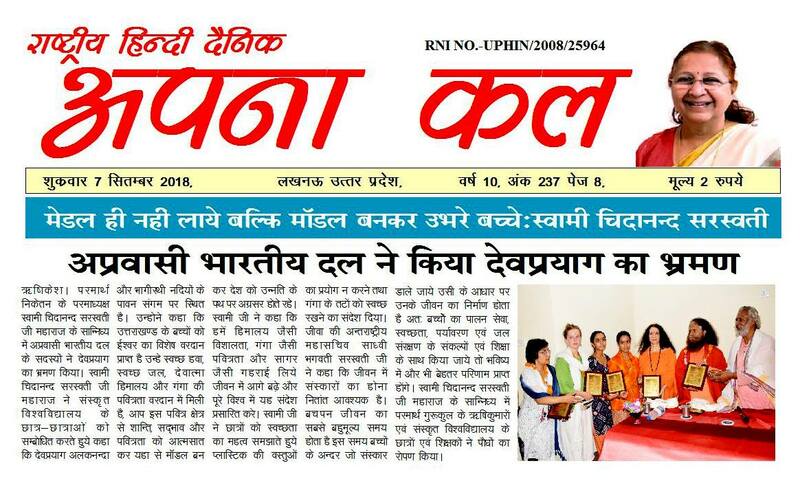 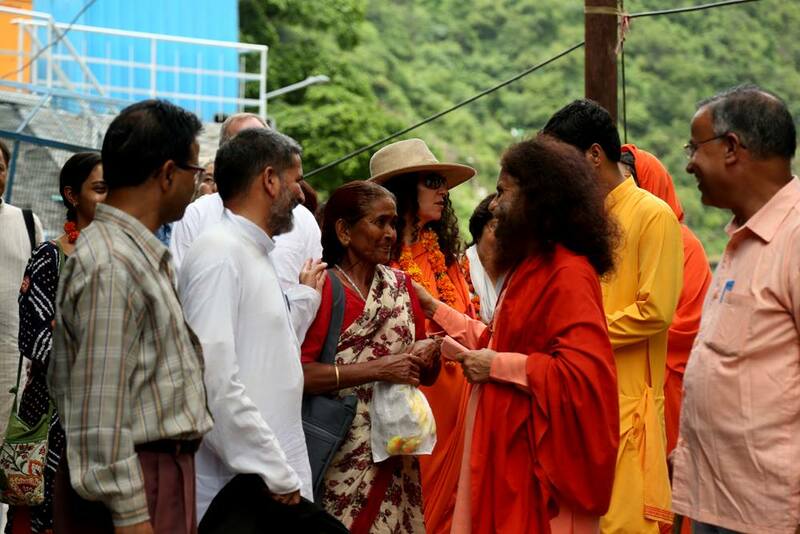 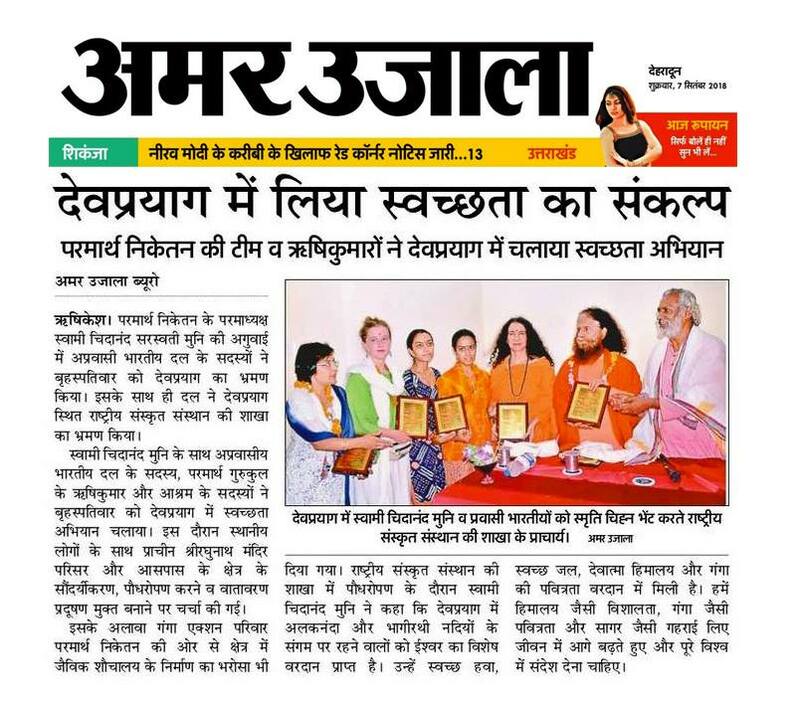 Just ahead of Himalaya Diwas, a beautiful, experiential yatra took place up to Devprayag from Rishikesh with Pujya Swami Chidanand Saraswatiji​ and Sadhvi Bhagawati Saraswati​ji recently, bringing together Parmarth Rishikumars, devotees representing the Indian Disapora from the United Kingdom, along with many sevaks and pilgrims. 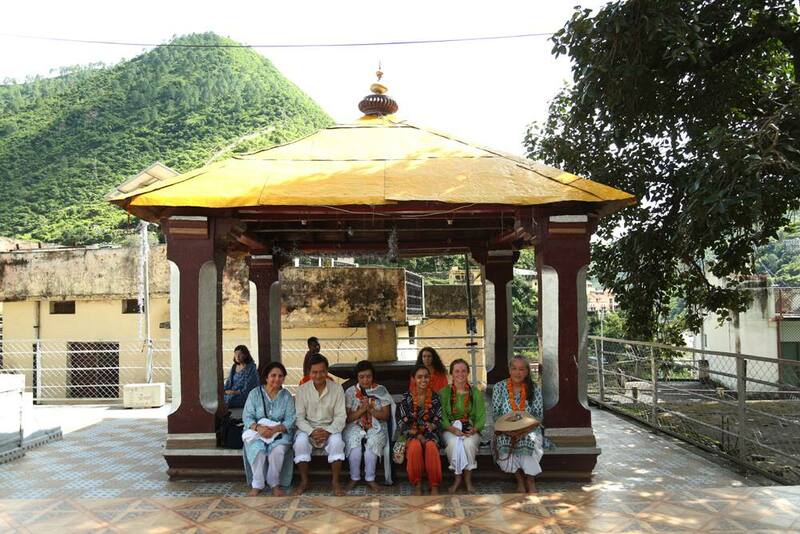 During their visit, they interacted with the locals, listened to their challenges, took part in a cleanliness drive, did a sanitation survey of the local toilets and sanitation facilities, visited the National Sanskrit Institute, and shared the numerous gifts of the Himalayas which make Himalayan children ambassadors of their sacred, ancient and timeless culture. 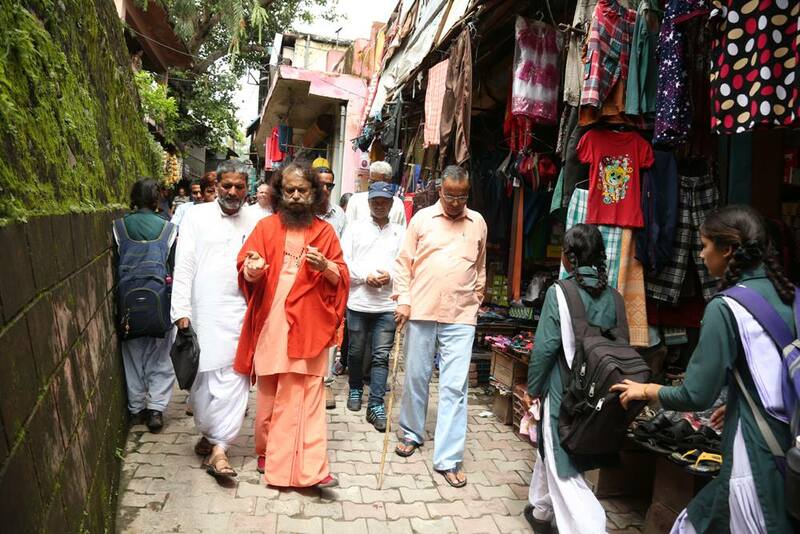 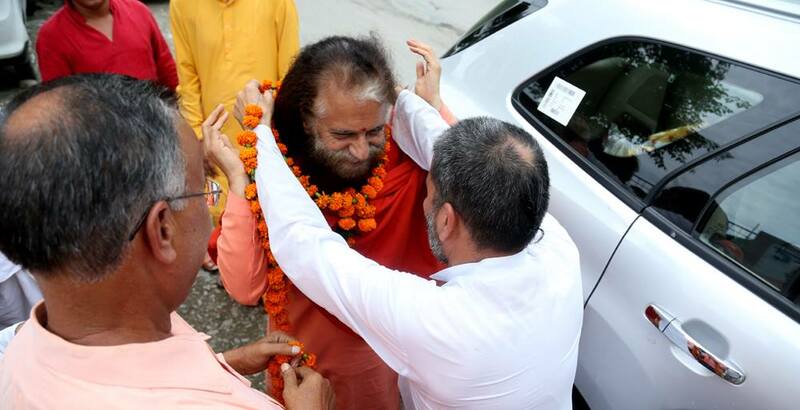 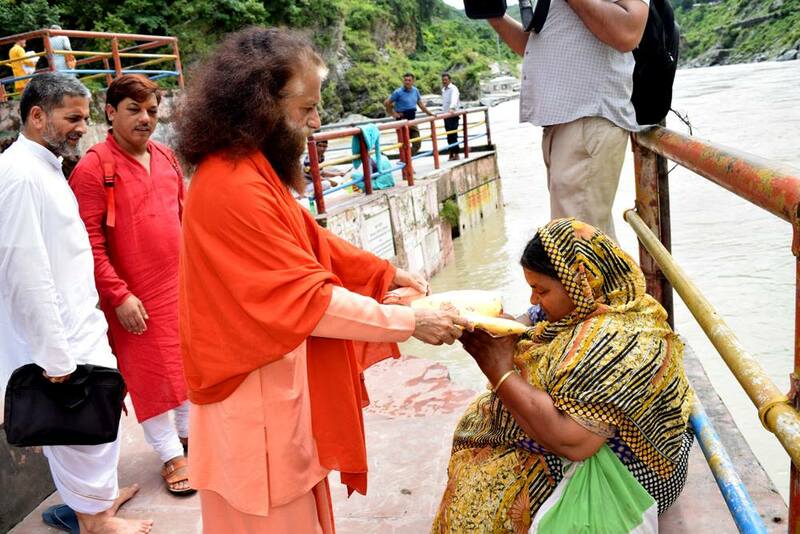 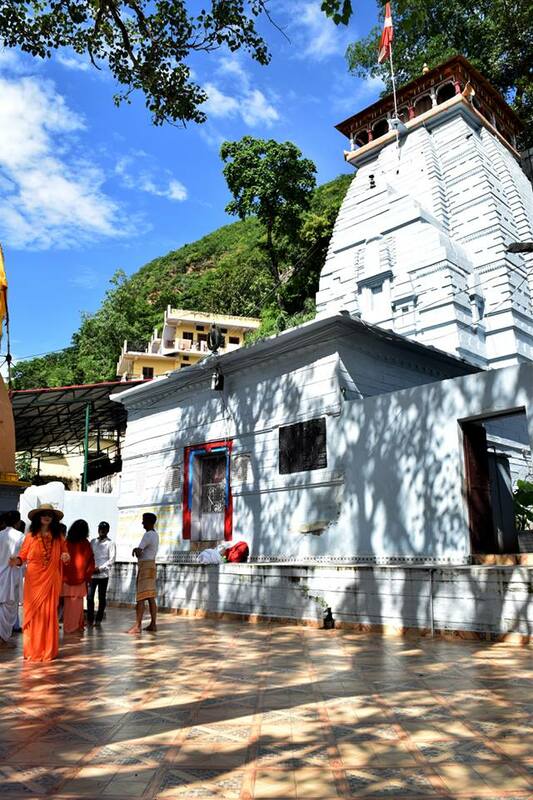 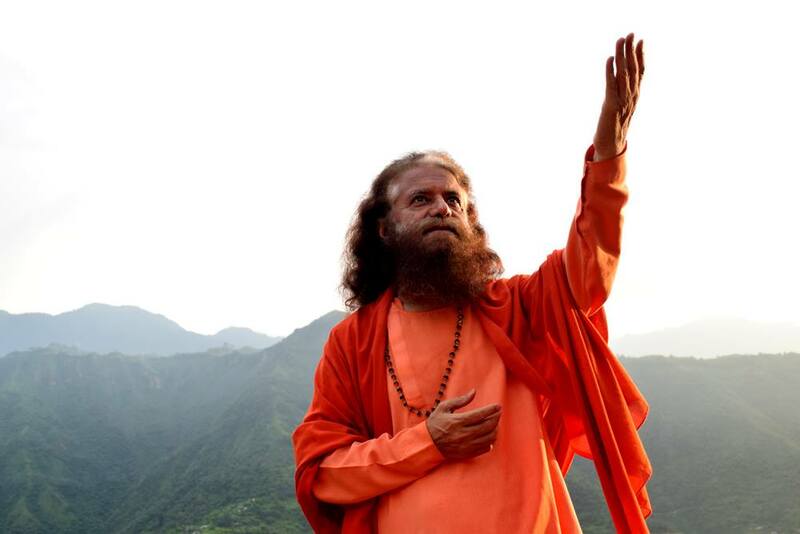 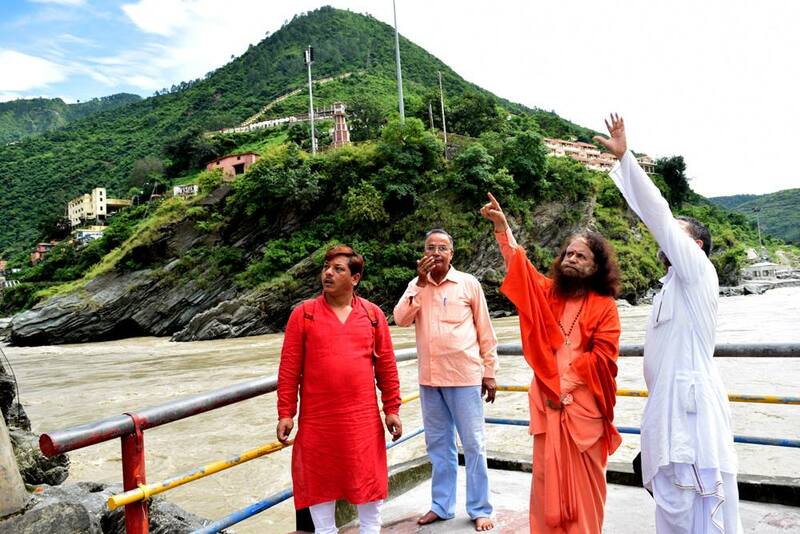 They visited some ancient temples in the region and planned for the temples’ beautification, greenery and cleanliness. 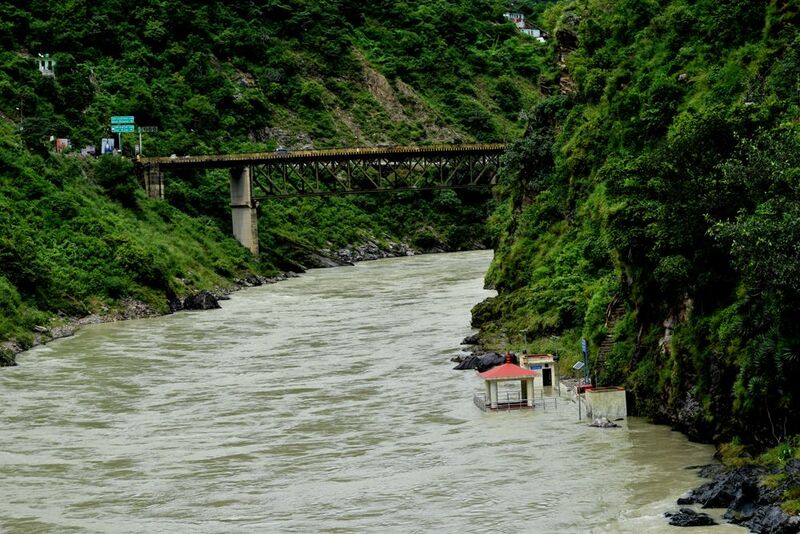 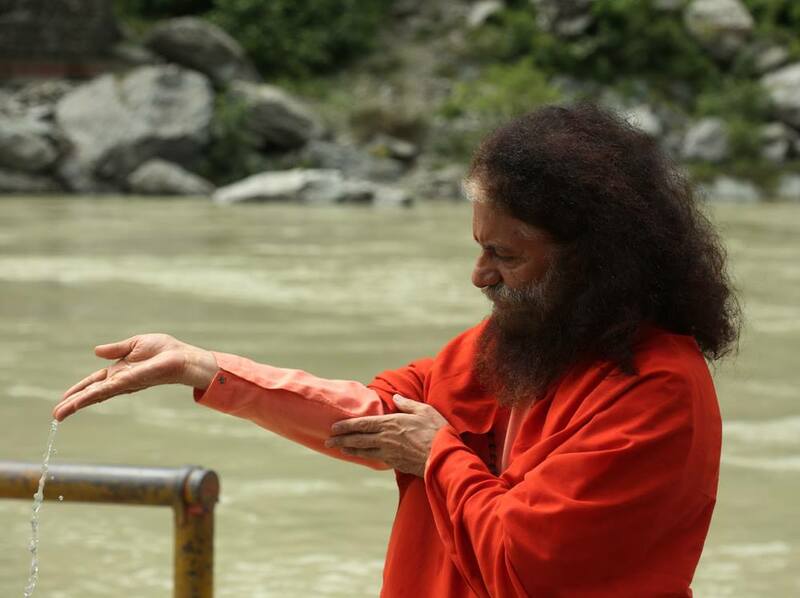 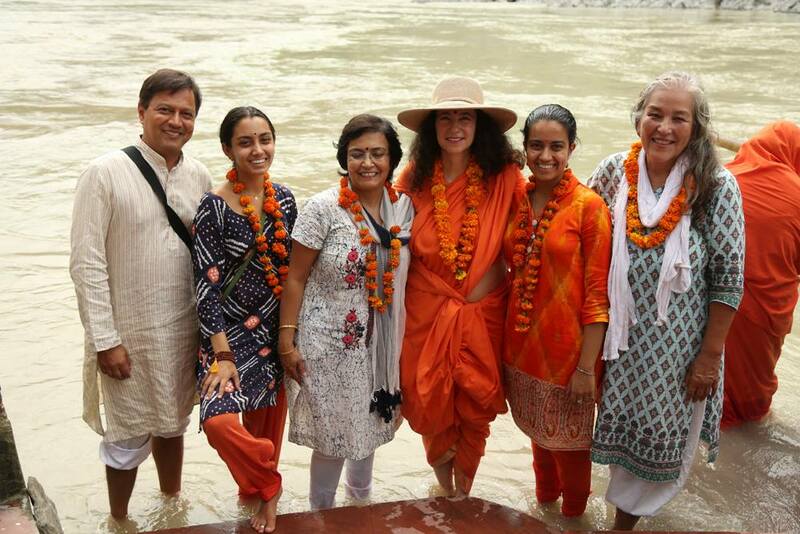 The group also visited the sacred confluence of the two rivers, praying, meditating and sprinkling the holy water of the river upon themselves. 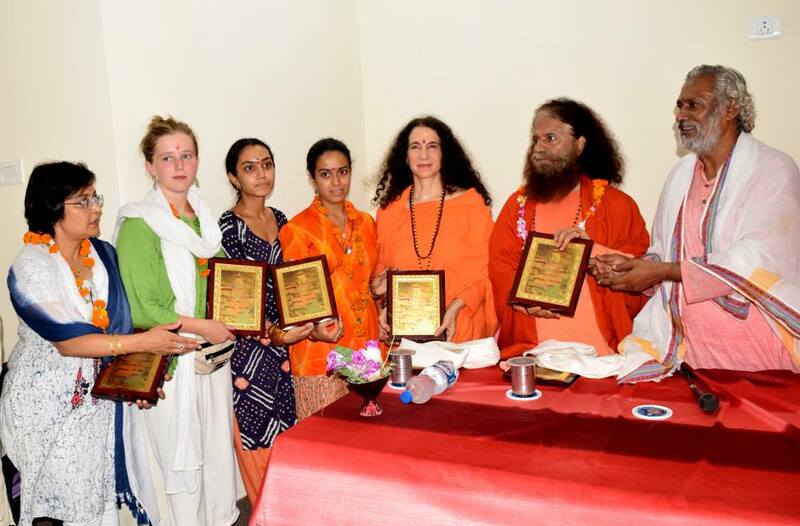 Students and teachers of the Sanskrit University, as well as students of the Parmarth Gurukul, planted trees on the premises of the university and pledged to live the inspiring messages they learned together. 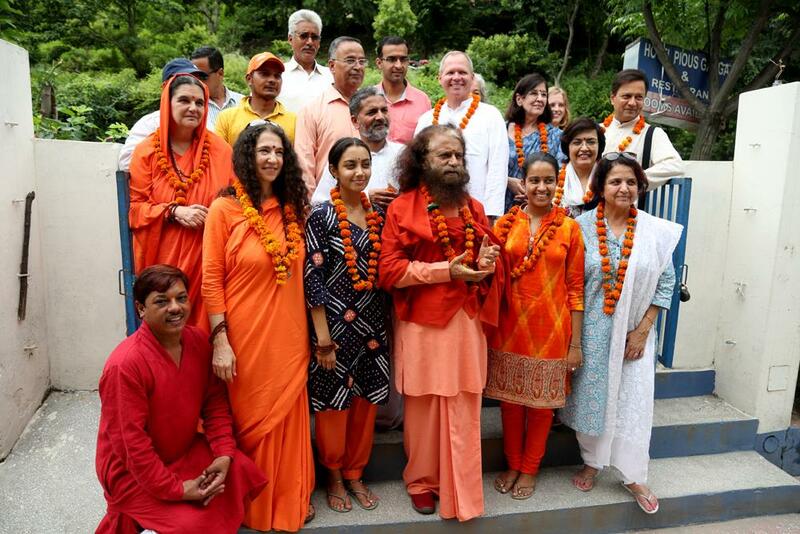 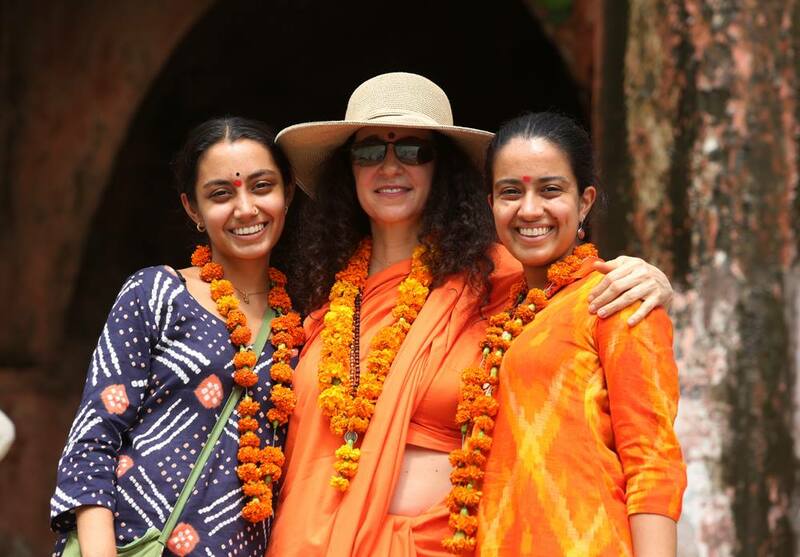 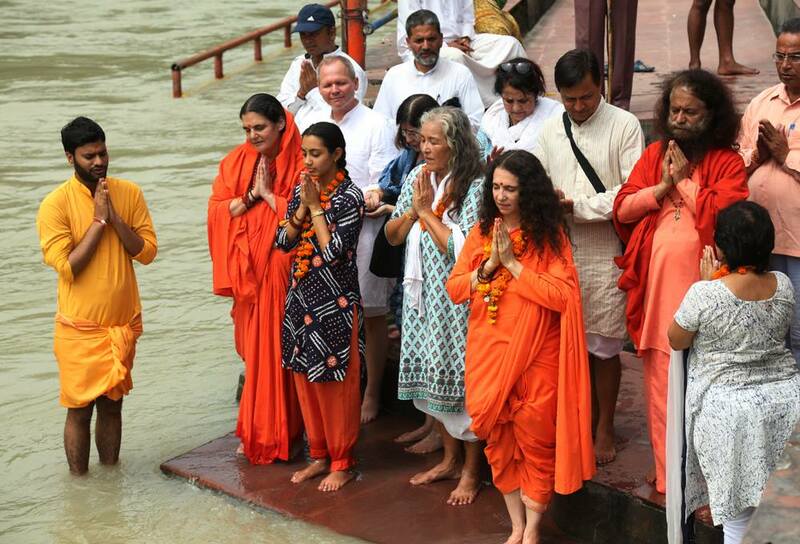 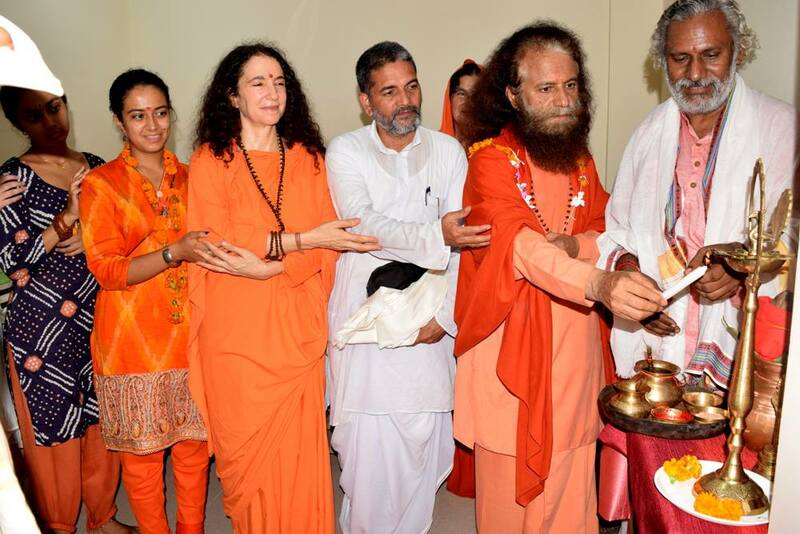 On the yatra was Manda Lakhani​ and Kanesh Lakhani, along with their beautiful daughters Roshni​ and Shreya​, Vibhutiben, Swamini Adityananda Saraswati​ji, Laurie Bryan Larson​, Ed Fink​ and others from the global and local Parmarth family.